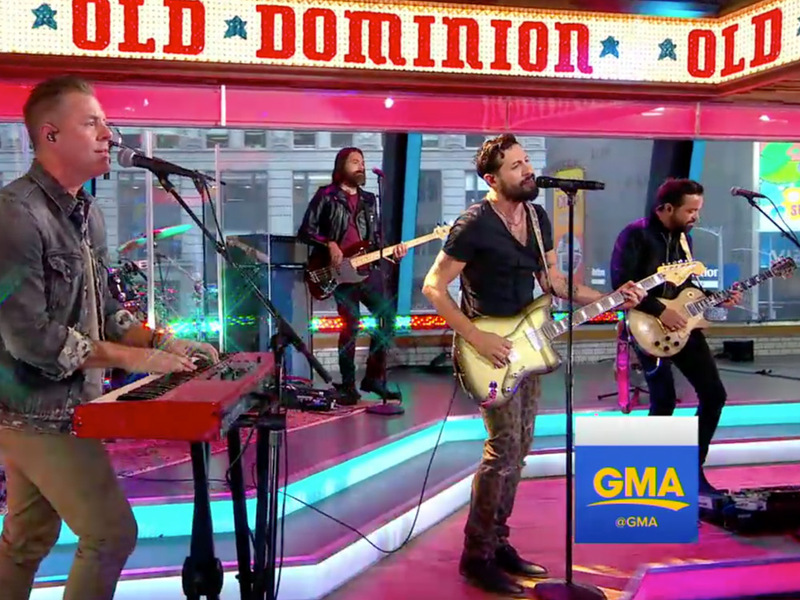 The guys from Old Dominion—Matthew Ramsey, Trevor Rosen, Whit Sellers, Geoff Sprung and Brad Tursi—traveled to New York City this morning (Aug. 28) to perform their current single, “No Such Thing as a Broken Heart,” on Good Morning America. The song, which was co-penned by Jesse Frasure and OD’s Matthew, Trevor and Brad, is about facing the world head-on and not letting life get you down. Watch Old Dominion’s performance below.